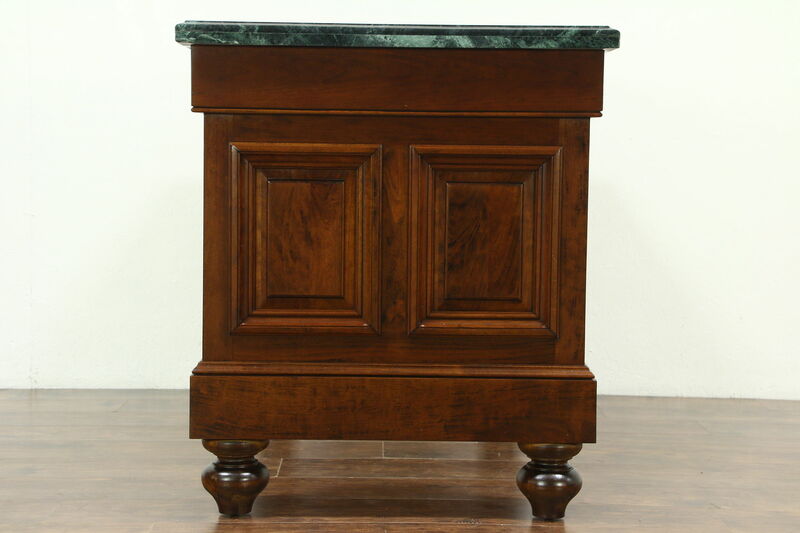 Custom made for a Milwaukee bank about 40 years ago, this classical counter makes a very functional kitchen island or wine and cheese tasting table. 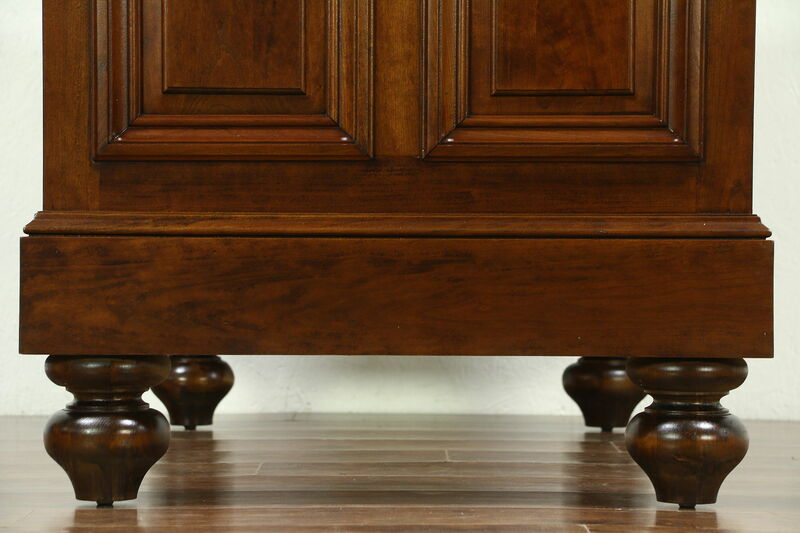 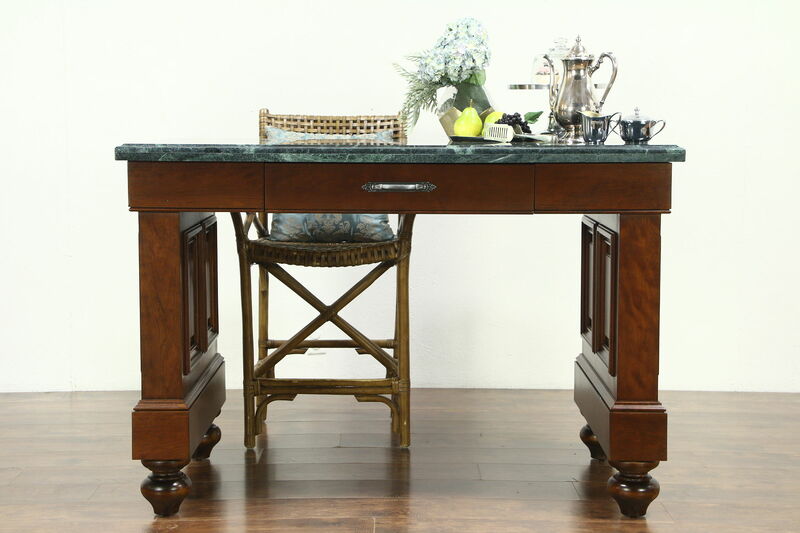 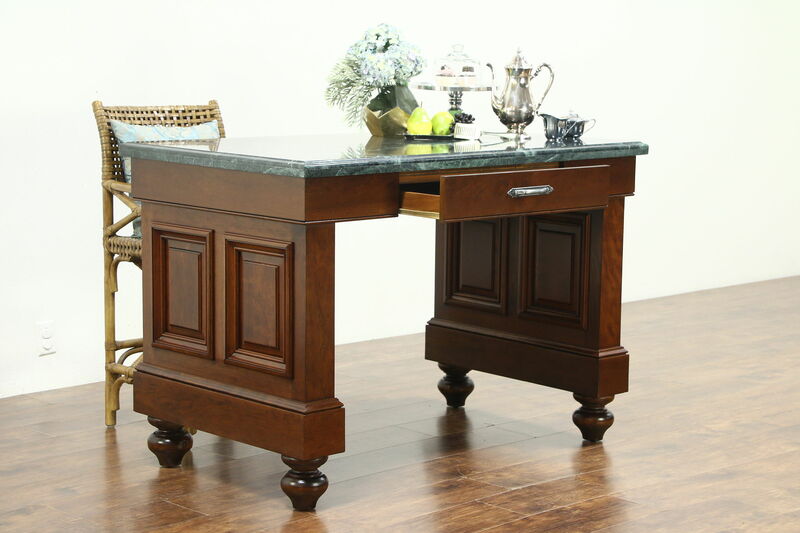 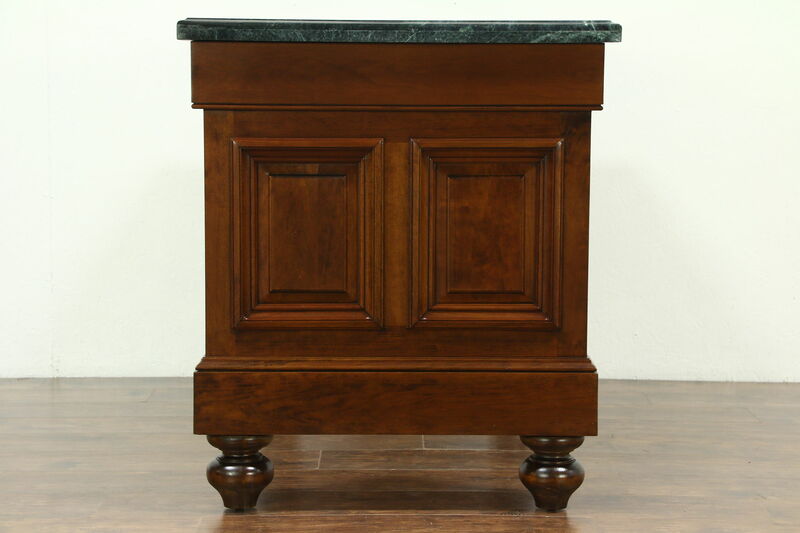 Paneled sides, deep moldings and substantial bun feet are well proportioned. 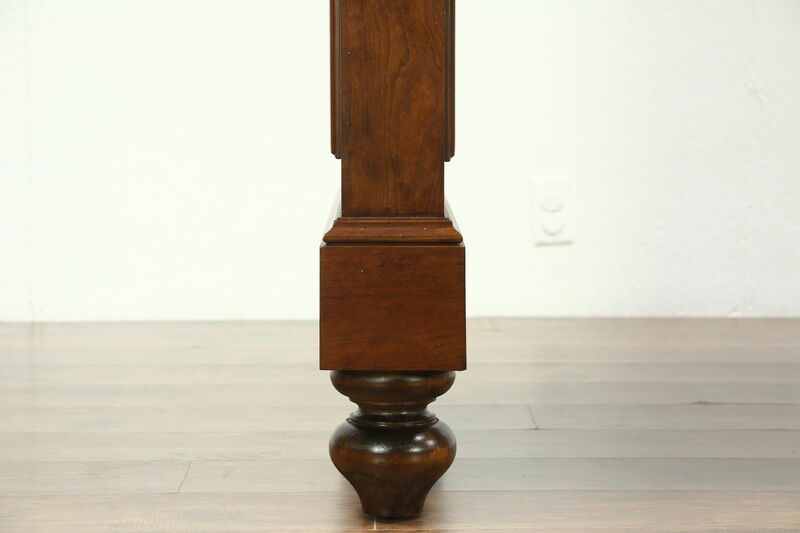 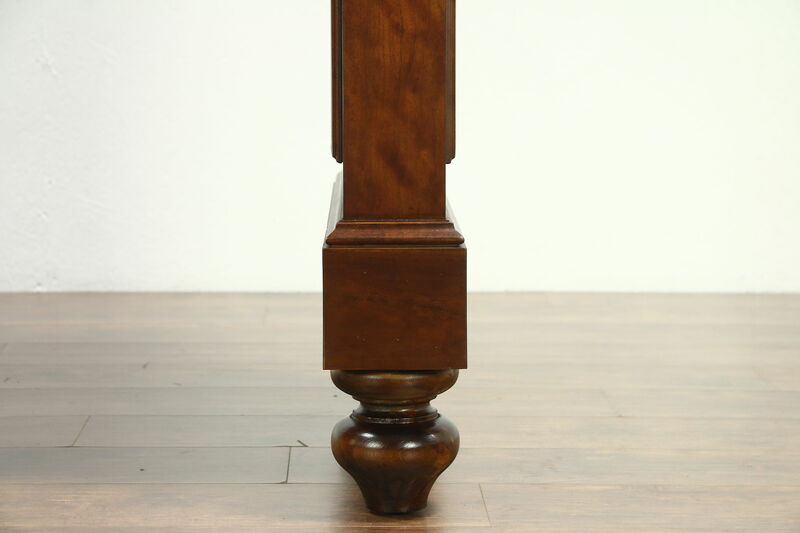 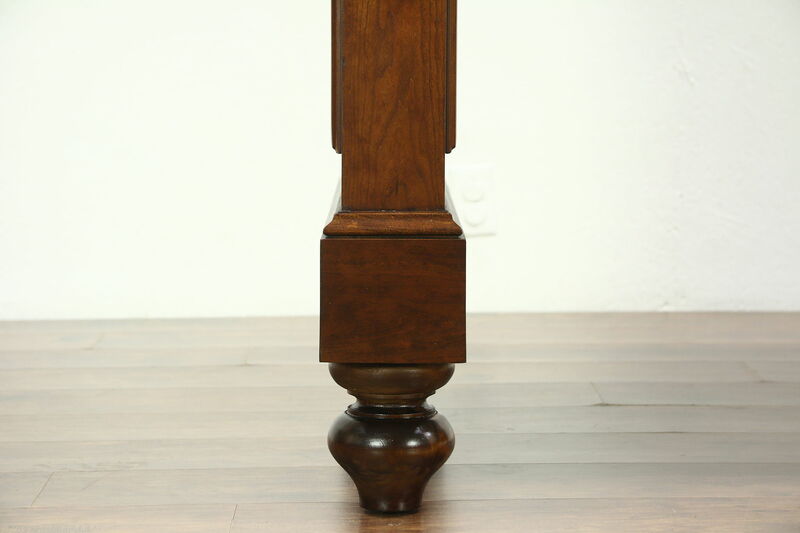 The restored rich finish is in excellent condition on beautiful cherry wood. 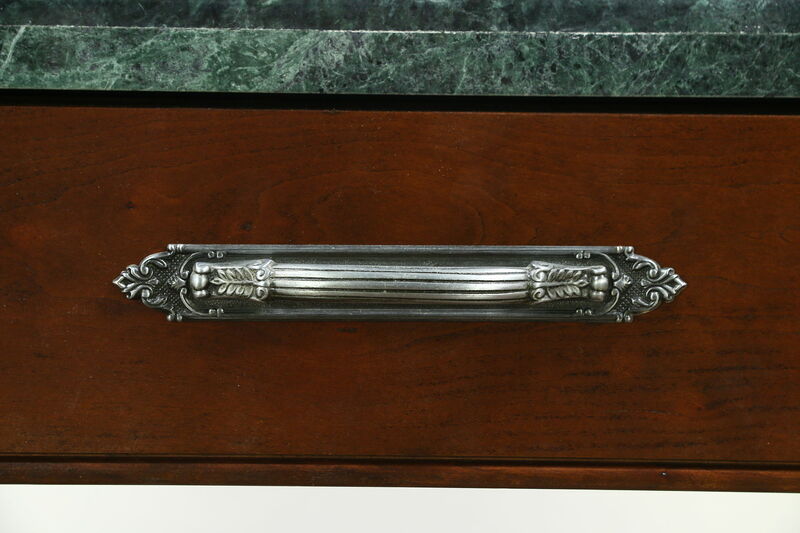 A center drawer has a nickel finish pull. 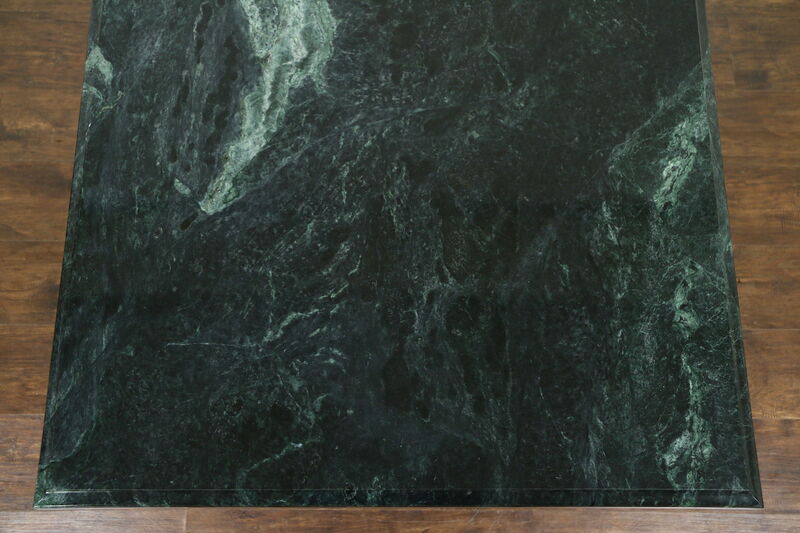 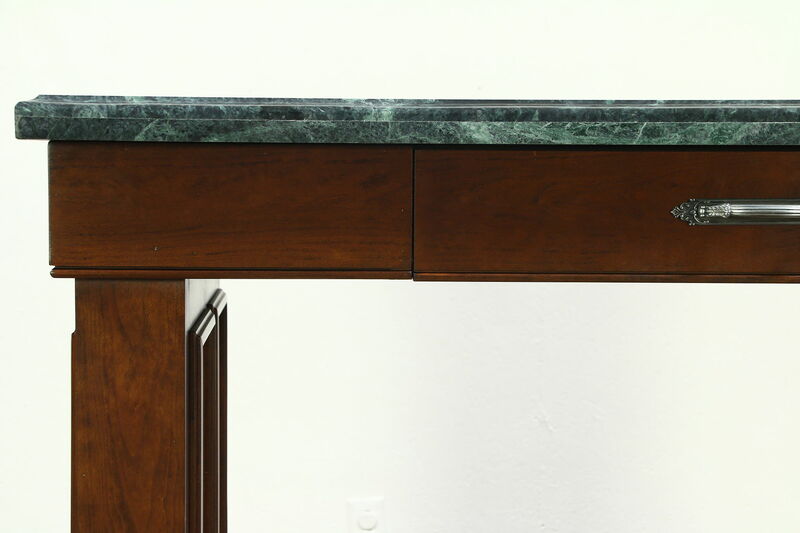 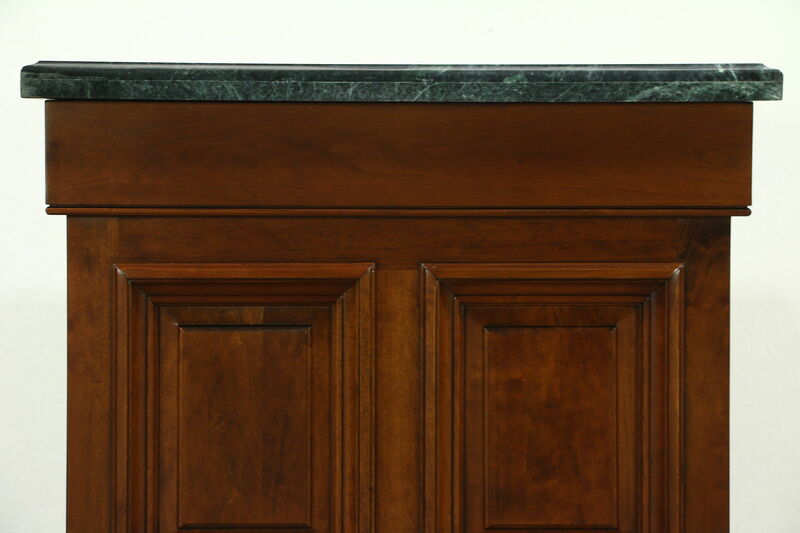 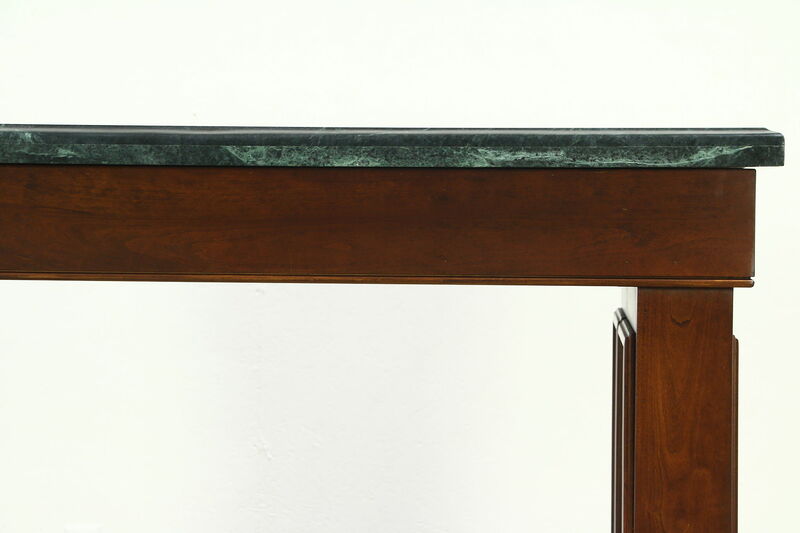 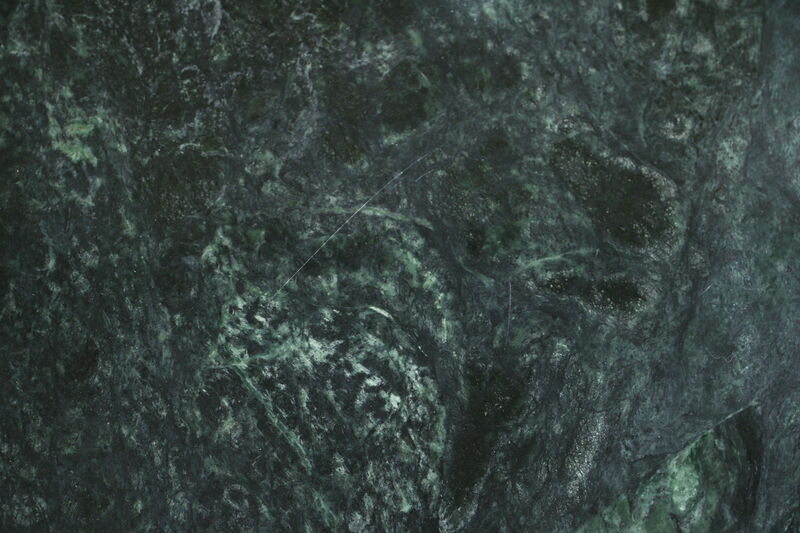 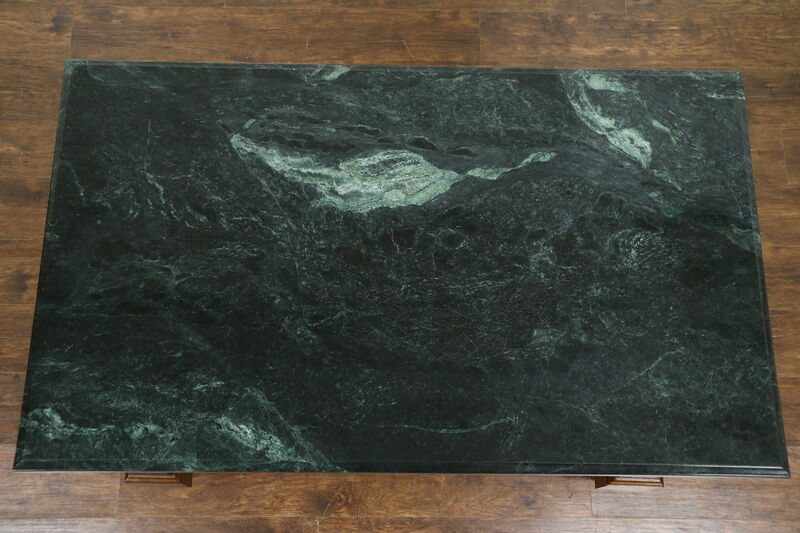 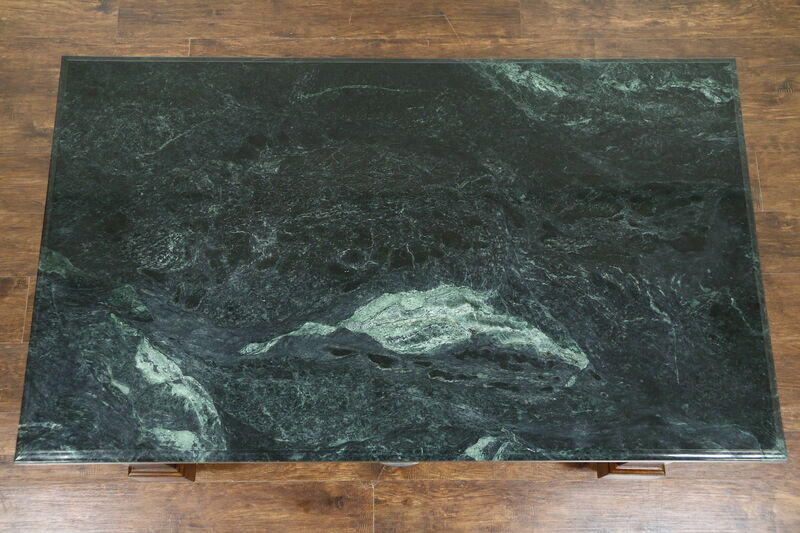 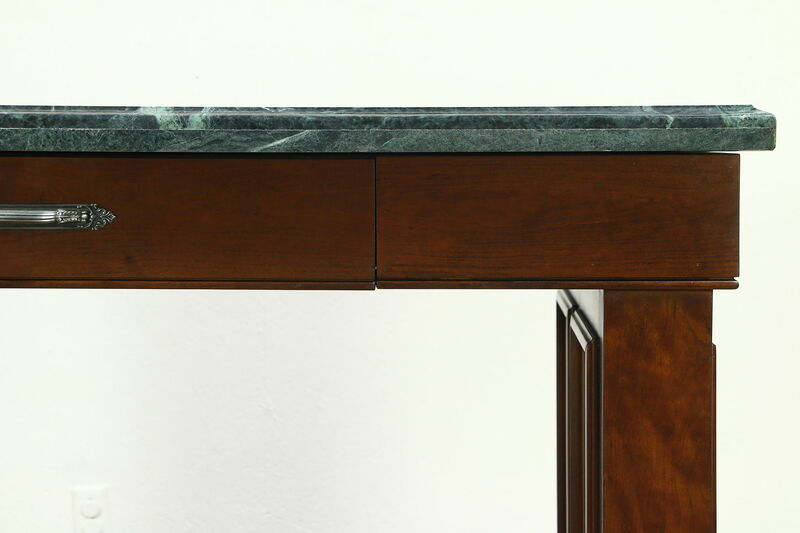 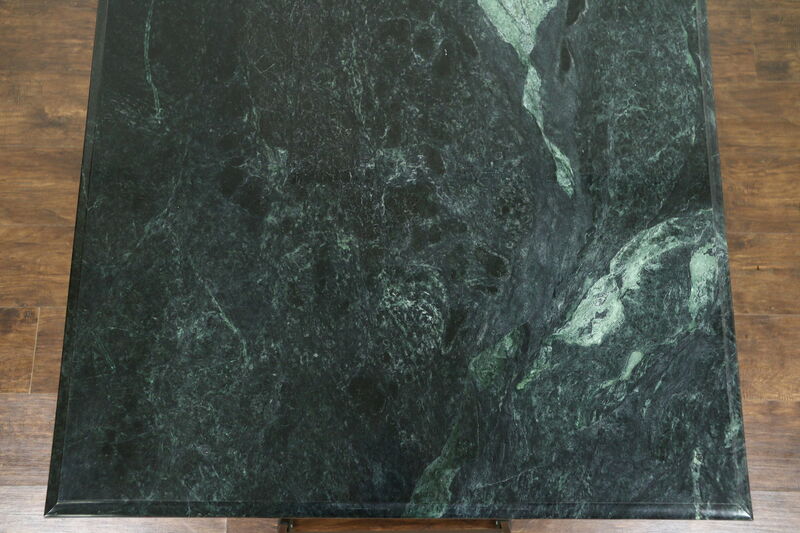 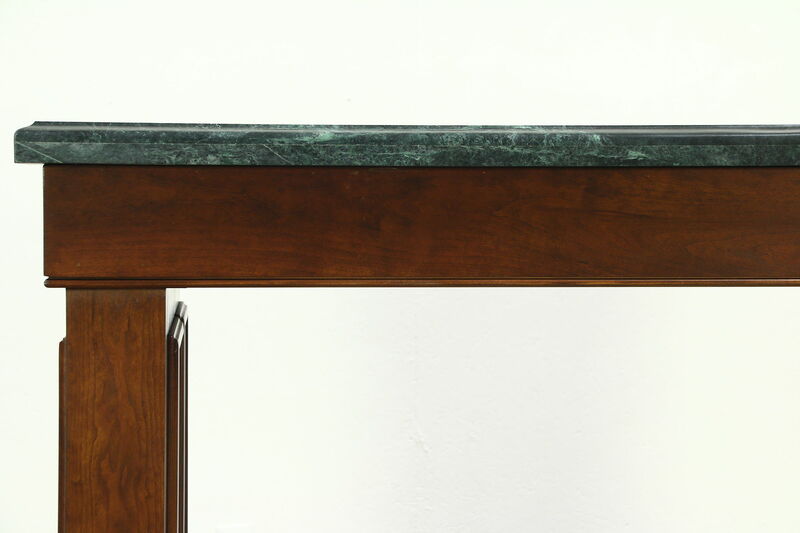 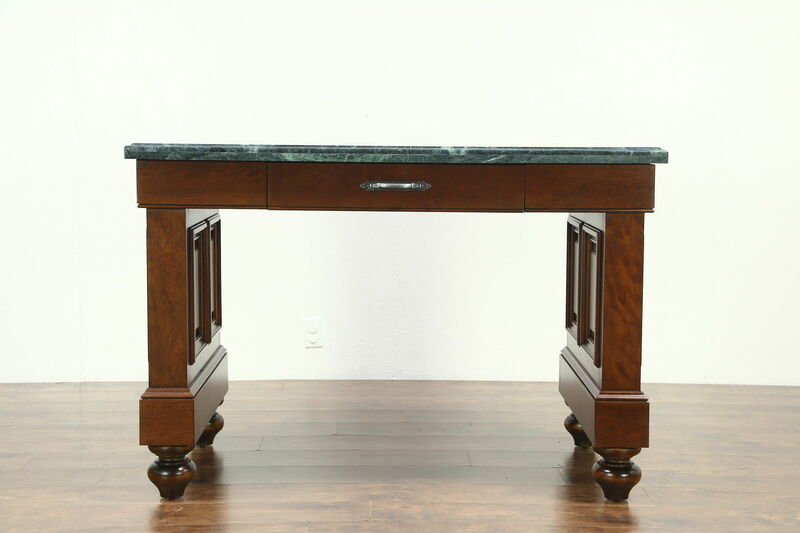 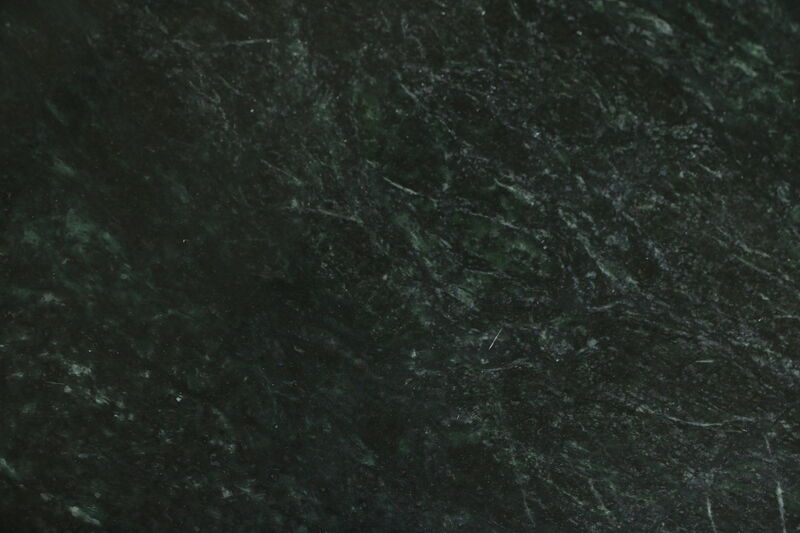 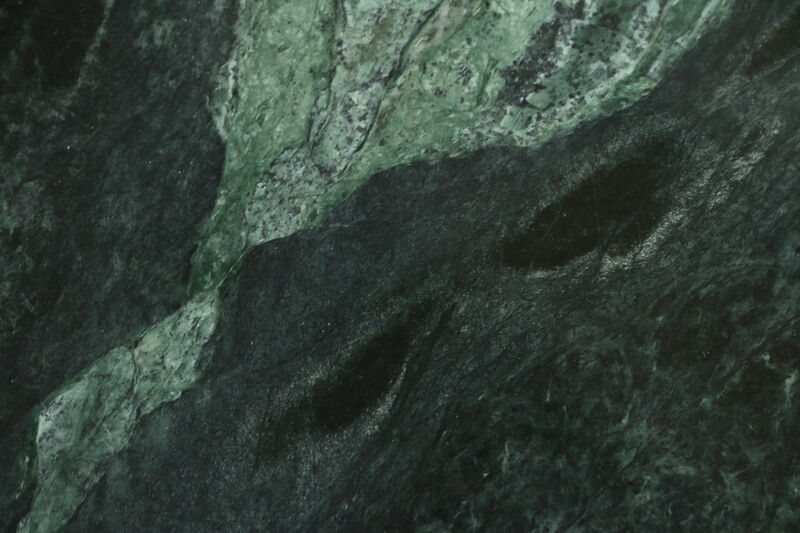 The removable green marble top has gorgeous grain and a shaped edge plus a few minor scratches. 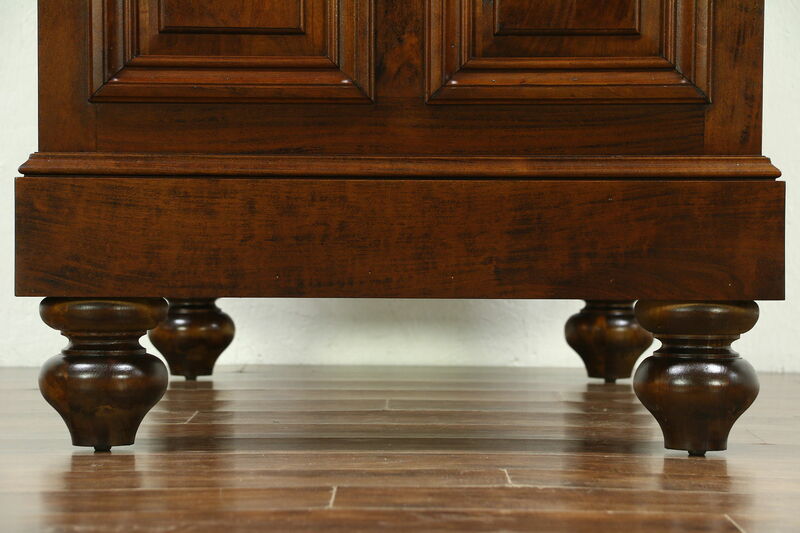 No maker's signature survives on this rugged vintage furniture. 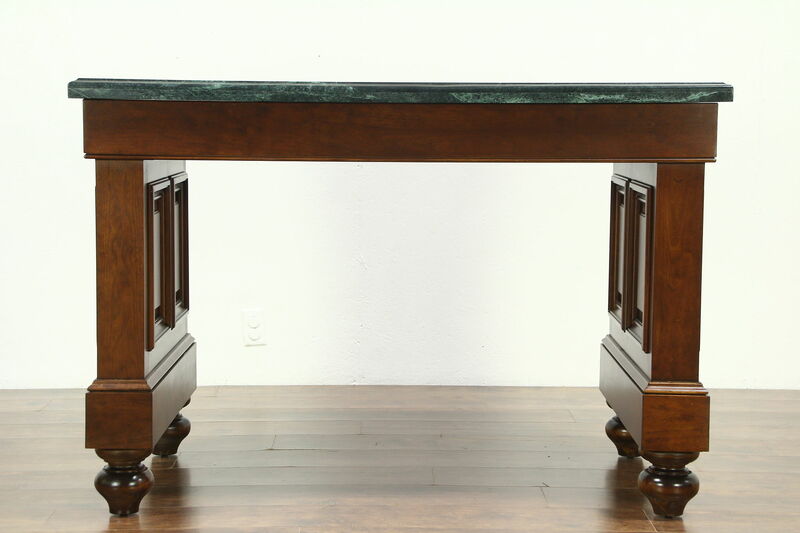 Measurements are 54" long, 32" wide and 37" tall.